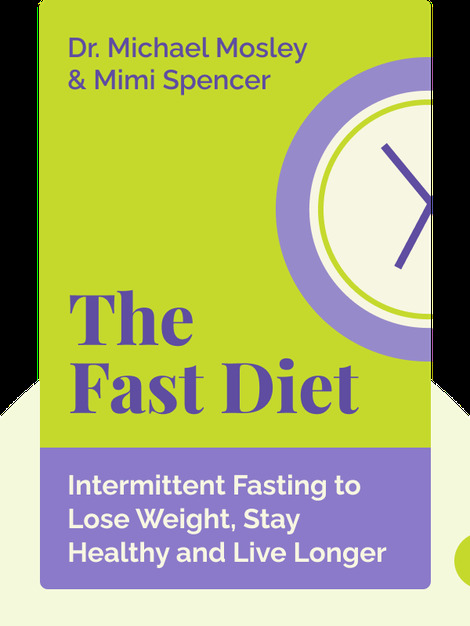 The Fast Diet (2013) is a guide to intermittent fasting and its health benefits. The 2015 edition includes a revised and expanded theory behind intermittent fasting, along with advice for physical exercise. Michael Mosley holds a medical degree from the Royal Free Hospital Medical School. Also a television journalist and producer, Mosley in 1995 was named Medical Journalist of the Year by the British Medical Association. Mimi Spencer is a journalist and author. 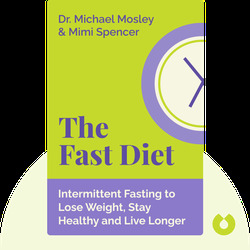 Along with Michael Mosley, she is a co-author of 101 Things To Do Before You Diet and The Fast Diet. She also writes for The Guardian, Marie Claire and Harper’s Bazaar.